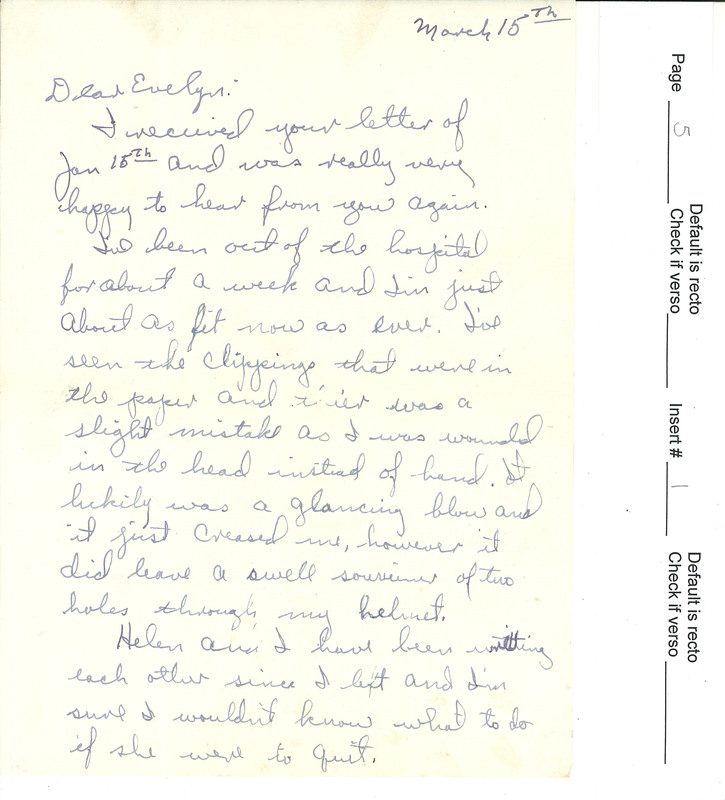 March 15th Dear Evelyn, I received your letter of Jan 15th and was really very happy to hear from you again. I've been out of the hospital for about a week and I'm just about as fit now as ever. I've seen the clippings that were in the paper and there was a slight mistake as I was wounded in the head instead of hand. It luckily was a glancing blow and it just creased me, however it did leave a swell souvenir of two holes through my helmet. Helen and I have been writing each other since I left and I'm sure I wouldn't know what to do if she were to quit.